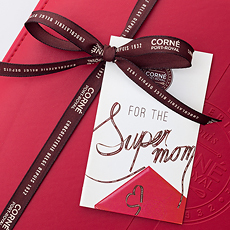 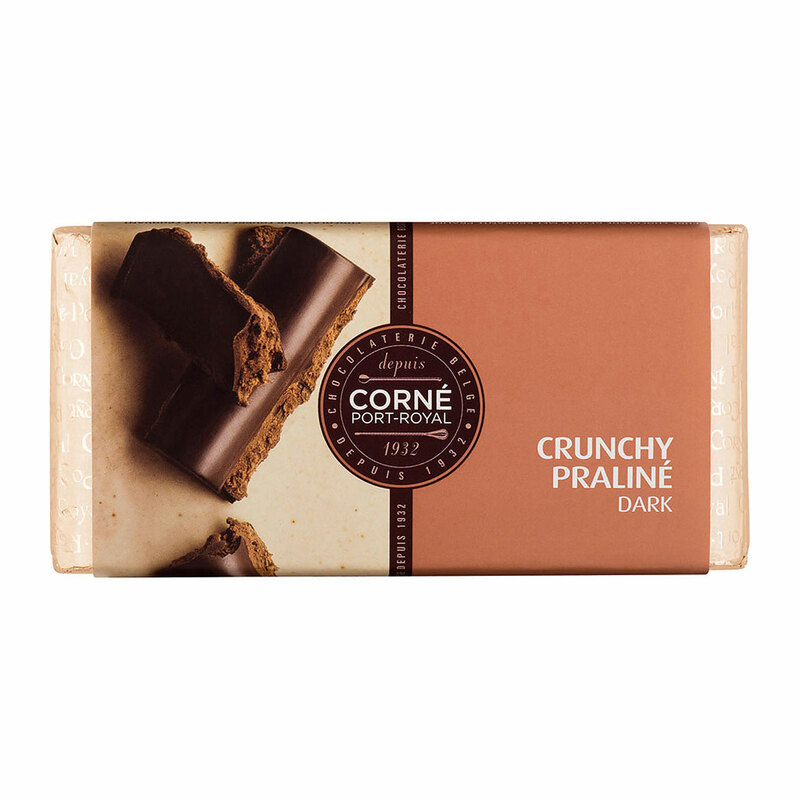 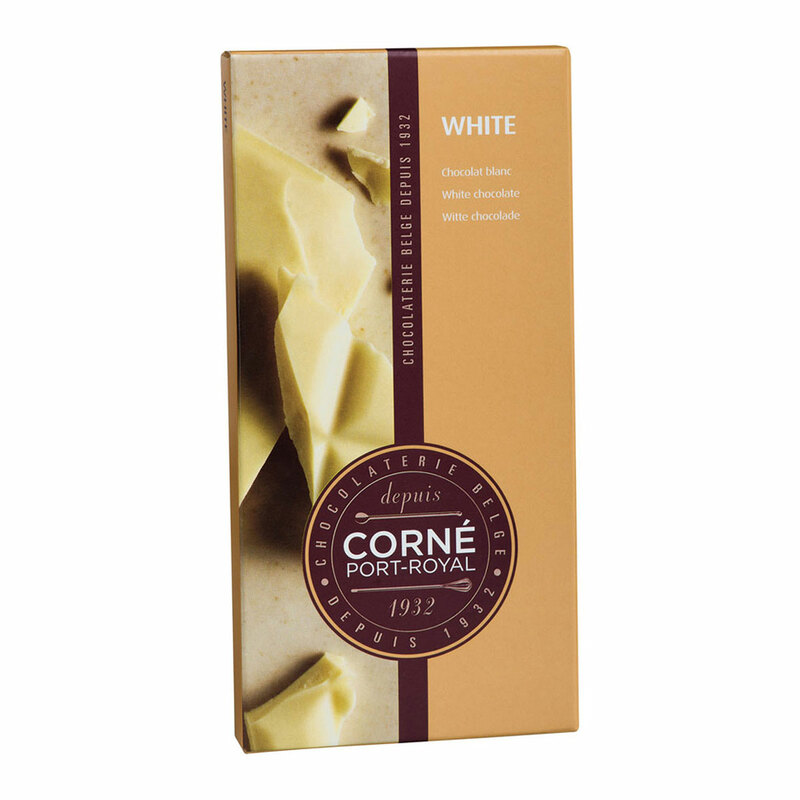 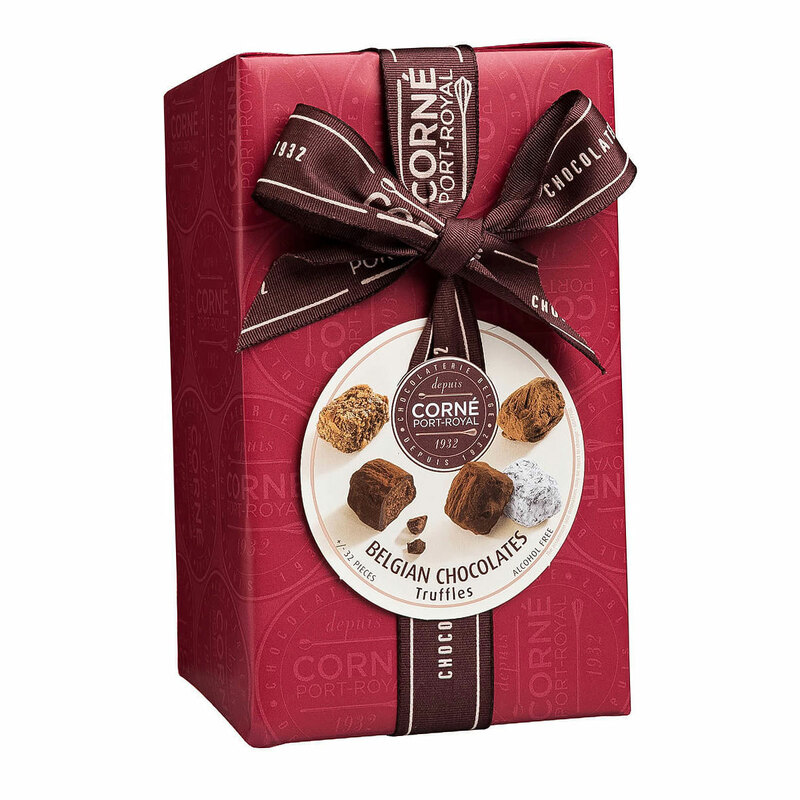 Everyone deserves to be completely surprised en to enjoy the extraordinary Belgian chocolate from Corné Port-Royal. 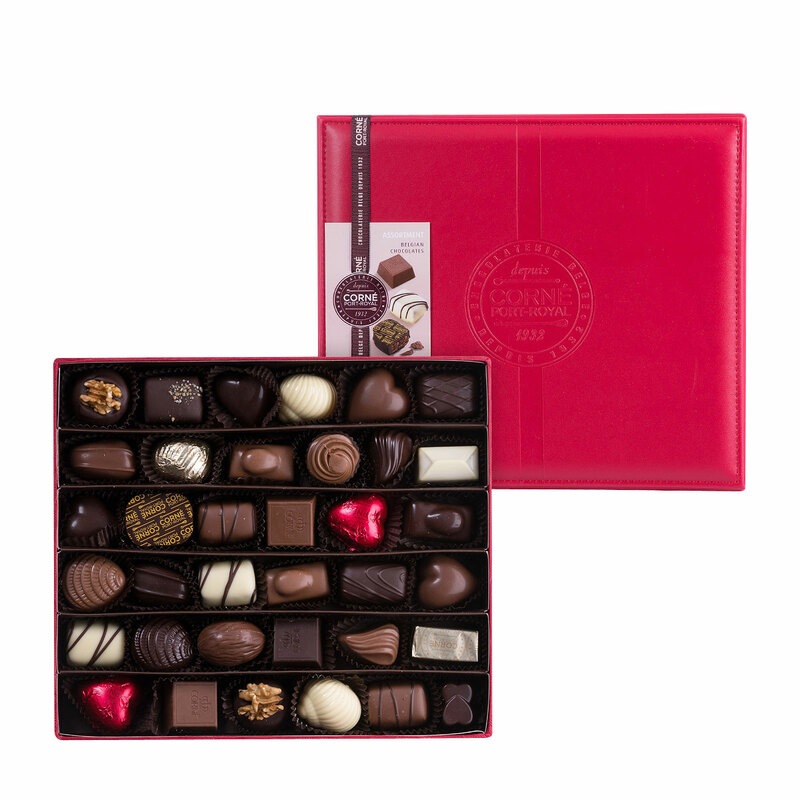 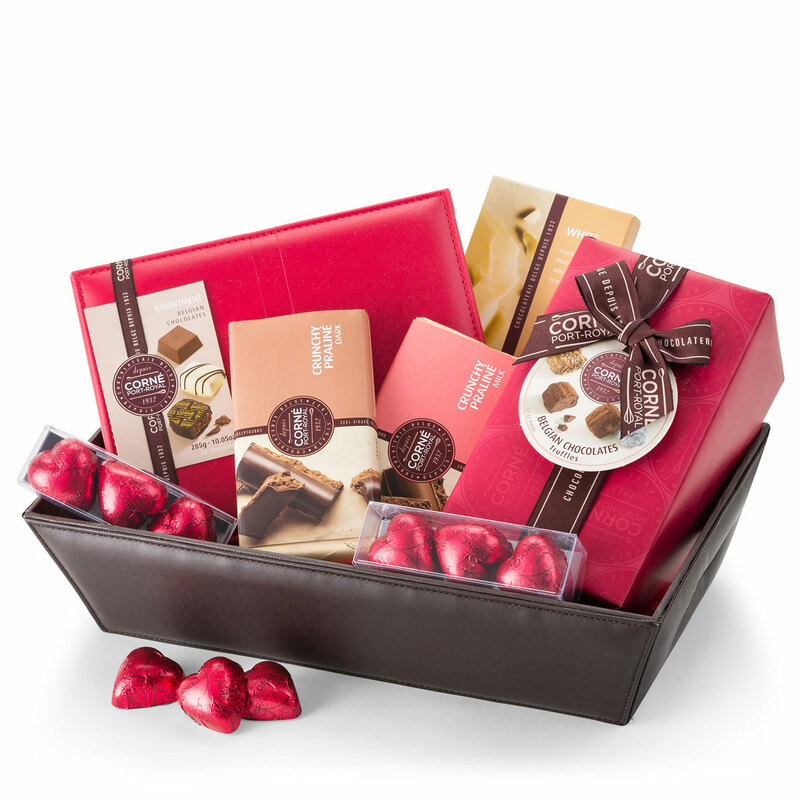 A handsome leather hamper is filled with a tempting assortment of Corné Port – Royal chocolates: a ballotin with delicious chocolate truffles, a chic red leather gift box with 20 Belgian chocolates, six little chocolate hearts and three irresistible chocolate tablets round out this exquisite treat. A top gift that makes every woman happy.